After friends let me test drive their Cuisinart Ice Cream maker, I bought my own, so I thought it would be a good time to revisit a whole week of frozen treats, which will conclude with the Friday Recipe Exchange. I thought it would be good to start with the basics. 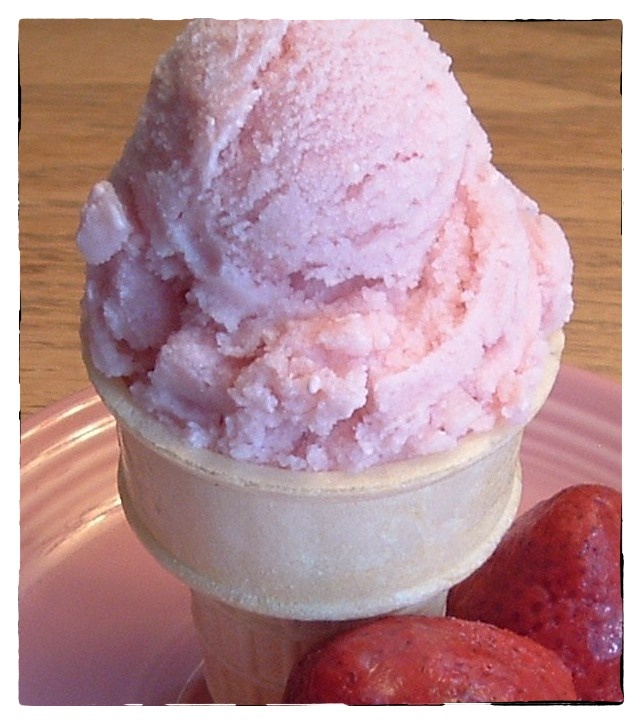 The first recipe is for a cream only ice cream and I’ll link to a JeffreyW post that has an egg custard ice cream. Then I’ll add strawberries to it. These recipes all make 1 to 1-1/2 quarts. Combine all ingredients (including the bean and its pulp – if you’re using extract, DO NOT add yet) in a large saucepan and place over medium heat. Stirring occasionally, bring the mixture to barely simmering, about 170 degrees F. Remove from heat and allow to cool slightly – remove the hull of the vanilla bean or add extract at this point, stirring in completely. Pour mixture into lidded container and refrigerate mixture overnight to mellow flavors and texture. Freeze mixture in ice cream freezer according to unit’s instructions. The mixture will not freeze hard in the machine. It will reach a soft serve consistency. Then spoon the mixture back into a lidded container and harden in the freezer at least 1 hour before serving. 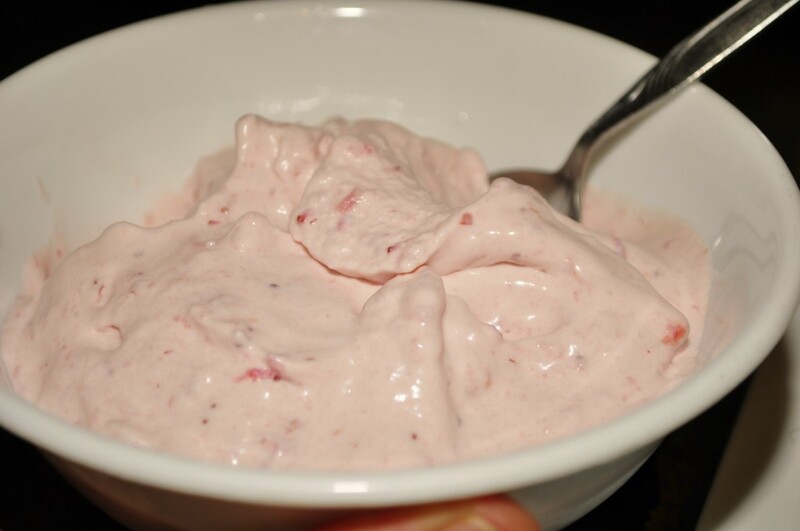 ice cream maker Toss strawberries with vodka, stir into the cold vanilla cream mixture. 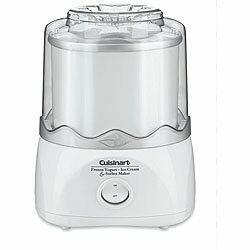 Add to your ice cream maker and freeze according to unit’s instructions. Again it will be a soft serve consistency when done, remove to an airtight container and freeze for 1 hour before serving. As promised: For an egg custard ice cream, go to JeffreyW’s post here. oh my gosh, this looks so delicious on this hot spring night! Thank you! Stay tuned, there will be blueberry sorbet, key lime pie gelato and chocolate-hazelnut gelato as the week goes on. I hope you’ll stop by for those.